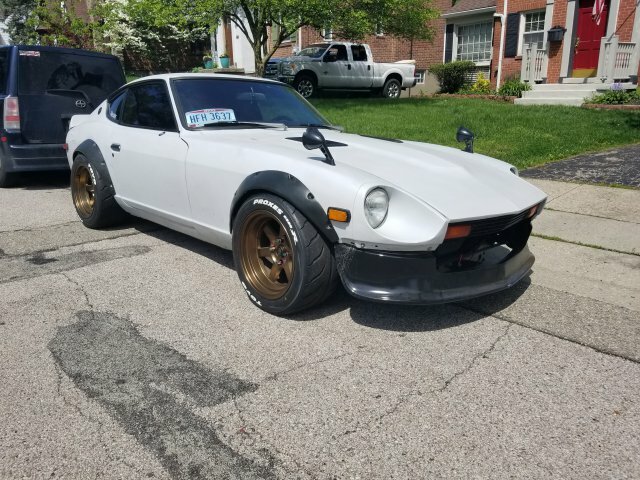 Would like to see a few photo with flare type and wheels fitment. go with. 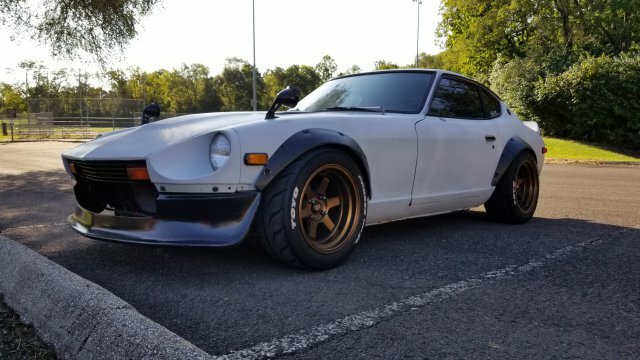 Building a 280z from scratch and it’s not a restoration. Do a search. There are a lot of examples scattered on here. Also, Google search usually works better than the website's Search function. Be sure to include "HybridZ" in your Google search string. Here are a few pictures of my current set up, which is temporary. Using old JPN Garage fenders on 16x9 -15 rota grid v wheels. Using toyo R888R tires on 245/45/16. I also using a 1-inch bolt on spacer.